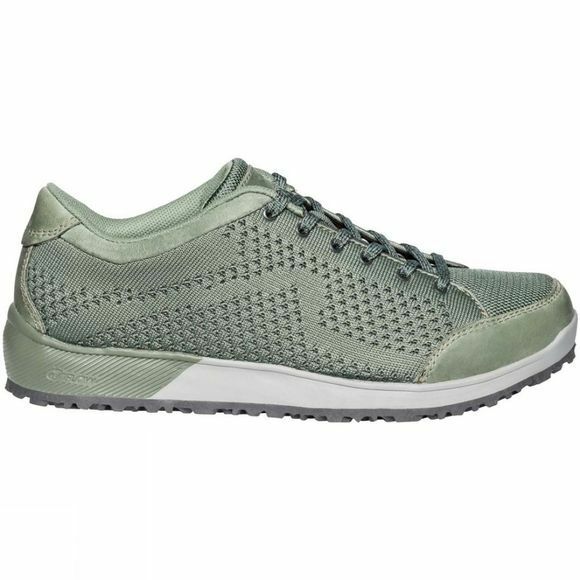 The Womens UBN Levtura Shoe from Vaude is Women's stylish, athletic sneaker for spring and summer strolling–made from airy, comfortable knit material in combination with high quality Terracare leather from the German leather manufacturer Heinen. This eco-friendly summer shoe consists largely of functional, breathable recycled material. 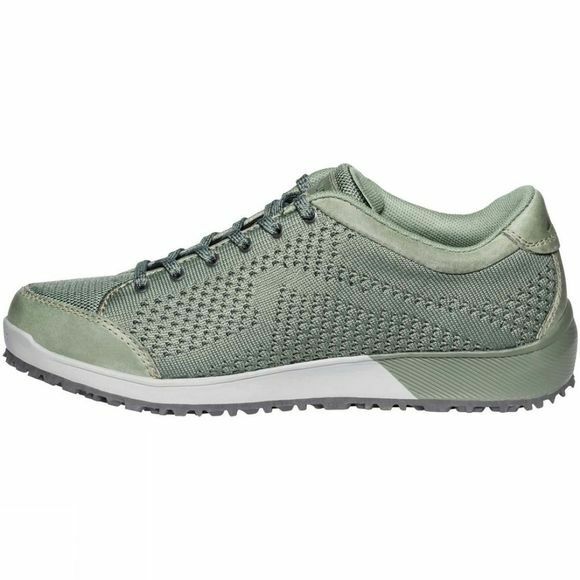 The lightweight, comfortable EVA midsole as well as the removable, antimicrobial Ortholite insole work together to ensure high wearing comfort. Together with the high traction Vibram outsole, the UBN Knit cushions every step–even when the stroll takes on epic properties. The VAUDE Green Shape label stands for environmentally friendly, functional products made from sustainable materials.